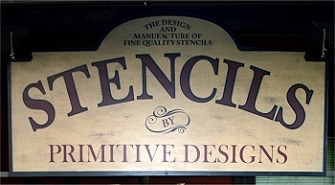 We specialize in custom stencils! Are you searching for a Alphabet stencil set in a font style you can't find? We can make it for you! With our extensive font library of over 20,000 fonts, we're sure to have what you're looking for. Do you have a quote or a saying that you'd like to turn into a stencil? We can make it for you! With our On-Line Stencil Designer you can choose your font, type in the saying or quote, choose the size and see what your stencil will look like. If you still don't find what you're looking for, just contact us and we'll design it for you. Do you have a drawing of your own that you'd like to turn into a stencil? We can make it for you! Simply fill out the required information and upload your file. We'll take a look at your design and contact you with a quote. The best part of custom artwork is that the stencil is YOURS ALONE. If it's your own drawing, you own it and we never resell the design. 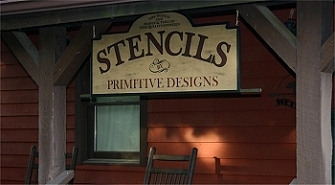 Customer privacy is taken very seriously at Primitive Designs Stencil Co. It is not often you get the chance to own something so exclusively just for you. What's great about this service is that we understand that in this econmic climate in particular, people don't want to have to spend a fortune getting what they want. If you are going to spend the money on your credit card (http://mozo.com.au/credit-cards), then you want to make sure that it is worth every penny. We believe that our product is. Once you have your stencil you are able to use it time and time again. You can use it to customise your clothes, to paint a mural on the wall or on something for a gift for someone. Having something so directly personal to you is a real gift and one that you will treasure for ever. Every time you use it, you will get a thrill knowing that you are the only person with that particular design.